On Monday morning, the CJHL released the top 20 rankings for the past week, and the Surrey Eagles sit at #14. This is the third time the Birds have cracked the top 20 list this season. Surrey is the second highest ranked team from the BCHL as the Victoria Grizzlies sit at #10 and the Penticton Vees came in at #15. CALGARY, Alberta (February 25, 2013) – Two western teams are starting to emerge as favorites in their leagues as we are on the eve of the playoffs in some leagues and just days away in others. In the BCHL, the Surrey Eagles are this week's biggest movers, coming in strong at #14 after going unranked last week. The Eagles, led by top NHL draft prospect Adam Tambellini, have had a solid few weeks which saw them climb the standings in the BCHL. Following a weekend when the Eagles took 5 of 6 points on the road, with their single point coming against the Alberni Valley Bulldogs in what some are considering one of the best games in the CJHL this season (a wild 4-4 draw), the Eagles have their foot firmly on the gas pedal. Meanwhile, in the AJHL the Okotoks Oilers continued their strong play and are on a solid 4-game winning streak. In the SJHL, the Melville Millionaires have continued their strong play. The Millionaires are ending their regular season with nine wins in their past ten games and have closed to within one point of Sherwood Conference Champion, Yorkton Terriers. The Minnesota Wilderness have to be considered the odds-on favorite to come out of the SIJHL. They are currently 34 points ahead of second place Fort Frances and outscored their opponents 16-3 in two wins this week. Over in the NOJHL, the North Bay Trappers – who will host the Dudley-Hewitt Cup – appear to have peaked at exactly the right time. They walked away with three wins and no losses this week and move up two spots to #16. On the heels of a 1-1 week, the NOJHL's second place Soo Thunderbirds dropped out of the Top 20 after being ranked #17 last week. The OJHL's Trenton Golden Hawks, who move up 3 spots in this week's rankings, have won the OJHL regular season championship for the first time in franchise history. They will look to continue their fine play as the playoffs begin in the OJHL this week. In the CCHL, Ottawa is hanging on to first place overall in the CCHL with a 2-1 week. However, the Senators will be pushed hard by Carleton Place, Cornwall, Nepean and Pembroke. In Quebec, Collège Français de Longeueil has been tracked down by the Saint Jerome Pantheres as these two clubs remain 7 points ahead of the rest of the LHJAAAQ. Both teams will be looking to become the first Quebec team to win the Fred Page Cup since 2006 when Joliette went on to compete at the RBC Cup. The MHL’s Summerside Western Capitals appear ready to contend for the national championship as host of the RBC Cup. They had a strong 2-0 week and continue bulldozing the opposition in the MHL. Meanwhile, Yarmouth drops two spots this week on the heels of two losses. With just weeks to go before most leagues begin their play offs, the CJHL is seeing great games every night in its arenas across Canada, on the road to the RBC Cup in Summerside, P.E.I. May 11-19, 2013! 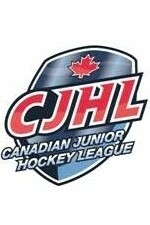 Next week's rankings will be the final Top 20 CJHL Weekly Rankings for the 2012-2013 season. Honourable Mention: Spruce Grove Saints (AJHL), Soo Thunderbirds (NOJHL), Georgetown Raiders (OJHL), Saint Jerome Pantheres (LHJAAAQ), and Amherst Ramblers (MHL).